Roseanne has been a Non-Executive Director for over seventeen years with Chair and Director experience in the resources and energy, agriculture, research and development, funds management and international aid sectors spanning; ASX listed, private and government corporations in Australia and the Asia Pacific region. 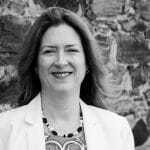 Formerly an economist and business analyst now a corporate advisor specialising in strategy, risk management, corporate governance, communications and change management. A graduate of the AICD international Company Director’s course. 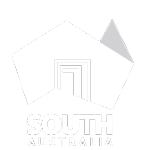 Current directorships include; HomeStart Finance, Grains Research and Development Corporation, Nyamba Buru Yawuru Ltd, CUFA Limited (International), Chair of Peninsula Leisure Pty Ltd and Chair of the Dairy Authority of South Australia. Roseanne holds a BA (Economics), MBR (Commerce) and MBA. 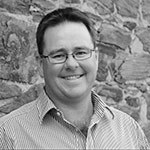 Marc Allgrove is a partner at Evans + Ayers and agent for Sandwalk Partners in South Australia. Previously he was the CEO of McLaren Vale winery Chapel Hill from 2009-2013. Over 20 years in the Australian wine industry based in Adelaide and London has provided significant marketing, sales, management and exports experience. In addition Marc holds seats on various wine industry, arts community and local government boards. Cassandra Collins is the appointee of the Minister for Agriculture, Food and Fisheries with expertise in viticultural research. She is a lecturer in Viticulture at the University of Adelaide. Her research group is largely focused on the improvement and understanding of vineyard management strategies with a focus on reproductive performance and grape quality. Cassandra has also worked for wineries and vineyards in the McLaren Vale and Adelaide Hills regions. She was appointed to the Board in October 2010. Ross Meffin is the General Manager – Food and Plant Standards at PIRSA (Biosecurity SA) and has membership of the Board as Chief Inspector for Plant Health in South Australia. He joined the Board in October 2018. Prue is a Plant Pathologist whose career has focussed on biosecurity and plant health management in horticulture and viticulture. Her professional roles have spanned research, extension and consulting, with positions held in California and South Australia. In consulting (with Scholefield Robinson), she was engaged primarily in technical, forensic and legal matters related to plant health, crop loss, biosecurity, plant movement practices and propagation material quality. Prue graduated with B Ag Sc from the University of Adelaide and from the University of California, Davis, with an MSc and PhD in Plant Pathology. She has been a past Chair and director of the Dried Fruits Research and Development Council (DFRDC), long-term Secretariat of the National Vine Health Steering Committee, and member of the Premier’s Climate Change Council (SA). Prue is a Fellow of the Ag Institute Australia (AIA). 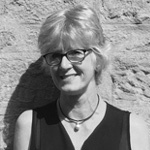 Although officially retired from active consulting, Prue maintains a strong interest in biosecurity and quarantine matters, and in industry engagement and capability building. 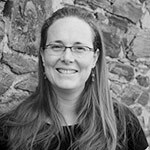 She is a director of Plant Health Australia and currently serves on committees within Rural Industries Research and Development Corporation, the AIA (SA) and in Water Polo SA. 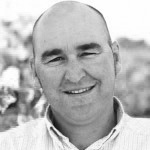 Nigel Blieschke is the head of viticulture at Torbreck Vintners and is based at Marananga in the Barossa Valley. After graduating from Roseworthy Agricultural College with a Bachelor of Applied Science in Natural Resource Management in 1993, Nigel began his wine career working firstly as a cellar hand with Penfolds and Orlando Wyndham before moving into the vineyards at Jim Barry wines in 1994. In 1996 after completing a vintage at Leasingham wines in the Clare Valley, Nigel decided to follow his love of viticulture; completing a Graduate Certificate in Viticulture from The University of Adelaide. Nigel then spent 12 years as a viticulturist for The Yalumba Wine company, working with their growers and vineyards in both South Australia and Victoria as well as managing their vine nursery. 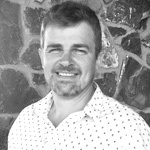 Nigel joined the Peter Lehmann Wines team in November 2008 where his primary task was to liaise with Peter Lehmann’s Barossa grape growers, and also their winemaking team on grape and wine quality. After 7 years at Peter Lehmann Nigel took up his current position as head of Viticulture at Torbreck Vintners and he now manages over 100ha of vineyard in the Barossa Valley, including 18ha of 100+ year old Shiraz, Grenache, Mataro and Semillon. Ashley Chabrel is a private grapegrower in the Riverland. He has also worked in California and seen first-hand the impact phylloxera has had on their industry. He has been involved locally in the Agricultural Bureau of SA and Riverland Field Days committee. He was appointed to the Board in October 2010. Andy Clarke is the Chief Viticulturist for Yering Station in the Yarra Valley and has first-hand experience in managing phylloxera. 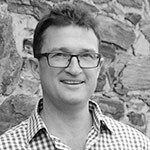 After graduating with a degree in Viticulture from the University of Adelaide in 2000, Andy spent 6 years working in McLaren Vale, Adelaide Hills and the Barossa Valley before relocating to the Yarra Valley. Andy is a member of many regional biosecurity committees and is a 2015 Nuffield Scholar.